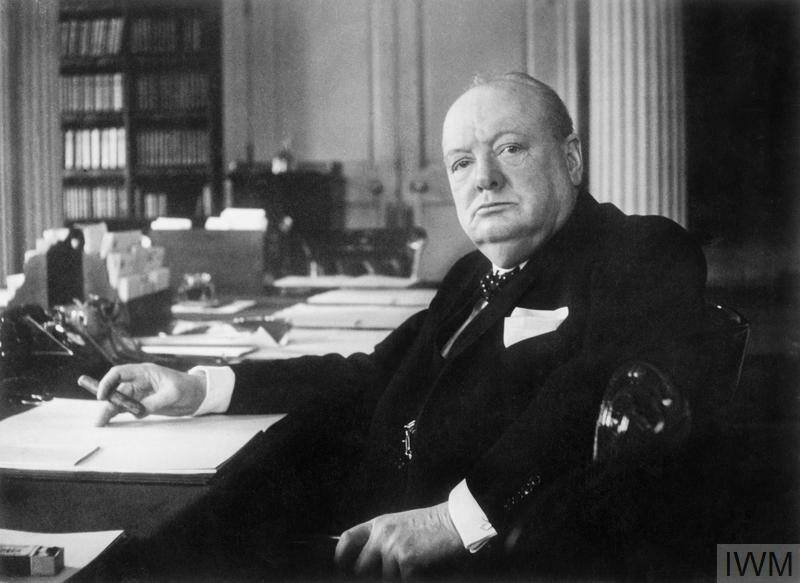 Winston Churchill became Britain's prime minister on 10 May 1940. As he was later to write: 'I felt...that all my past life had been but a preparation for this hour and for this trial'. On the very day that Churchill fulfilled his life's ambition, Germany had, that morning, invaded France, Belgium, the Netherlands and Luxembourg. Britain faced its supreme test. It is for his leadership through these fraught years of 1940-1941 - through Dunkirk, the Battle of Britain and the Blitz - that Churchill is best remembered. Crucially, he rallied the nation in defiance of Hitler. In the words of Labour politician Hugh Dalton, Churchill was 'the only man we have for this hour'. This view was shared by the overwhelming majority of the British people. Less obviously, Churchill made planning and decision-making - both political and military - simpler and more efficient. His force of personality was instrumental in cementing the 'Big Three' Alliance with Britain's powerful allies, Russia and the United States. His unbounded energy and determination meant that he was not always easy to work with. But, as Field Marshal Sir Alan Brooke wrote, 'It is worth all these difficulties to have the privilege to work with such a man'. 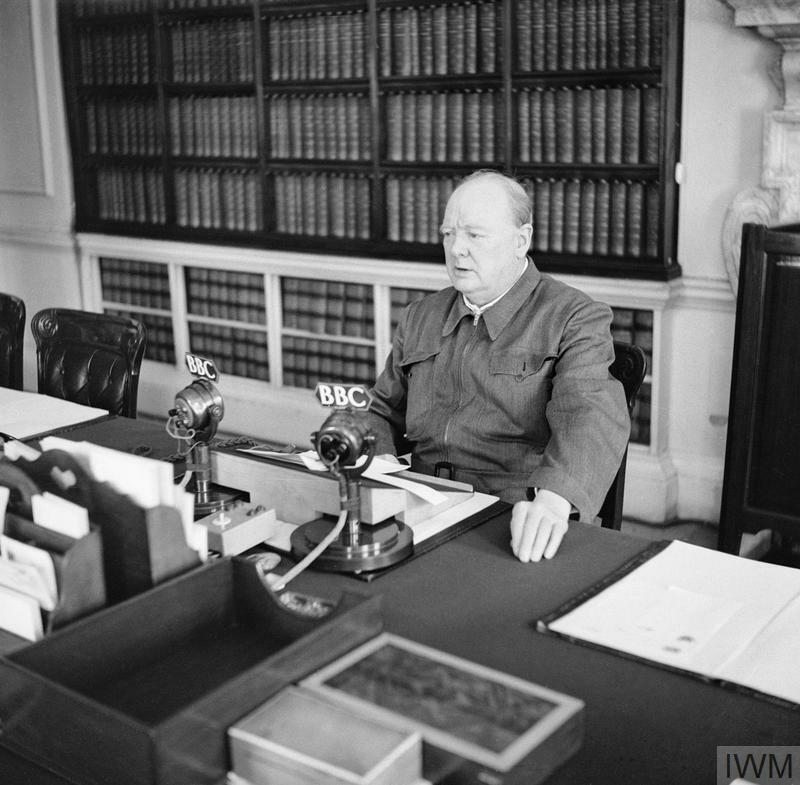 In July 1945, with Nazi Germany defeated and Japan near to collapse, Churchill's Conservative Party lost a general election in a landslide victory for Labour. An electorate weary of war was looking ahead to a new Britain. Winston Churchill, the man who had done so much to secure eventual Allied victory was, once again, out of office. 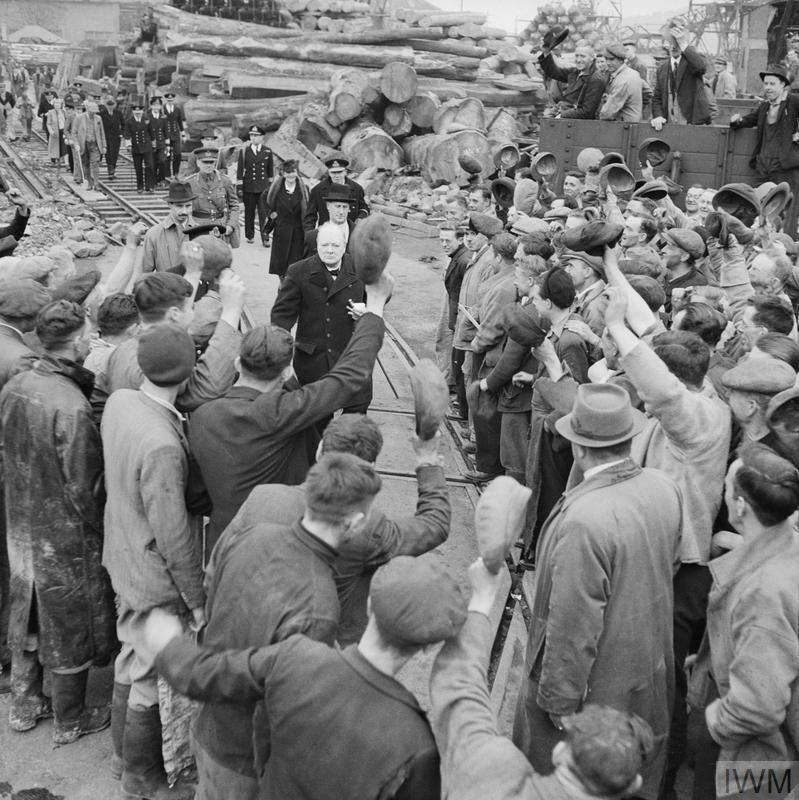 Winston Churchill is cheered by workers during a visit to bomb-damaged Plymouth on 2 May 1941. This was one of many morale-boosting visits he made across Britain. Public opinion polls, then in their infancy, show that between July 1940 and May 1945, never less than 78 per cent of those polled said they approved of Churchill as prime minister. 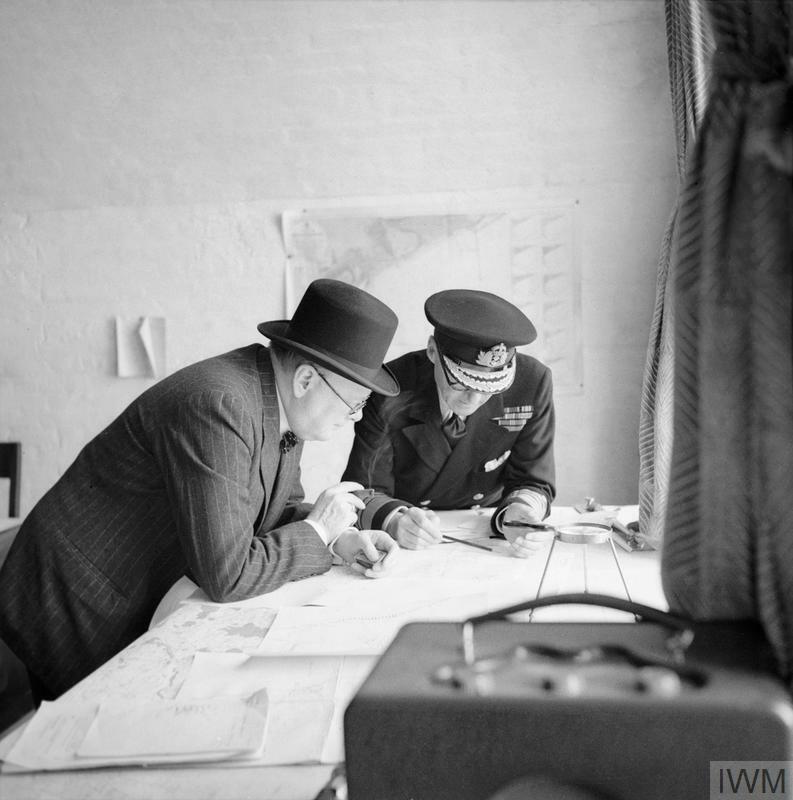 Churchill studying action reports with Vice Admiral Bertram Ramsay on 28 August 1940. Ramsay would play a key role in defending against the expected German invasion. Churchill regularly worked 18-hour days. He carried on working at weekends and travelled abroad many times a year to conferences and battlefronts. He could be charming and generous but also exasperating, rude and bad-tempered. He drove his staff very hard, but he drove himself even harder. Marshal Josef Stalin makes a toast to Churchill on 30 November 1943, the British premier's 69th birthday, during the Tehran Conference. Stalin was a difficult ally and relations were not always this friendly. With Russia taking the brunt of the war against Germany, Stalin had aggressively insisted on an invasion of northern France. Churchill resisted. He believed that any premature 'Second Front' was likely to fail. 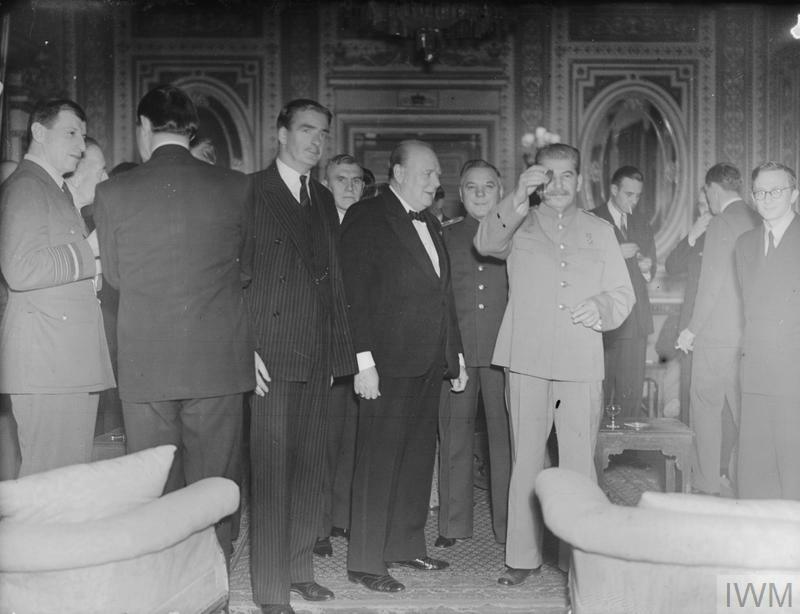 At Tehran, a date was finally set for June 1944. 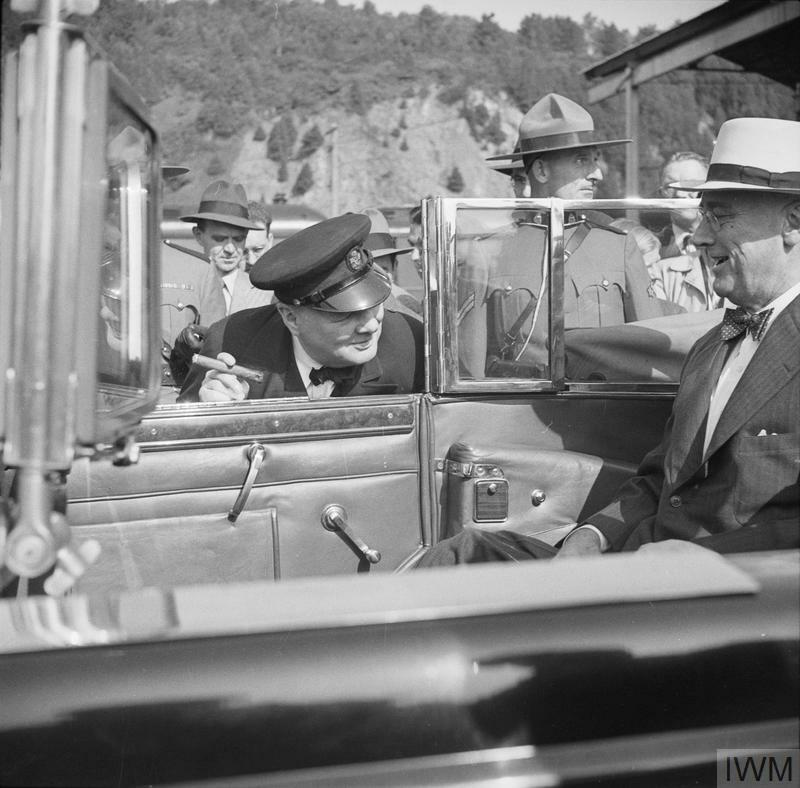 Churchill leaning into President Roosevelt's car to greet him after arriving for the Quebec conference in Canada, 11 September 1944. 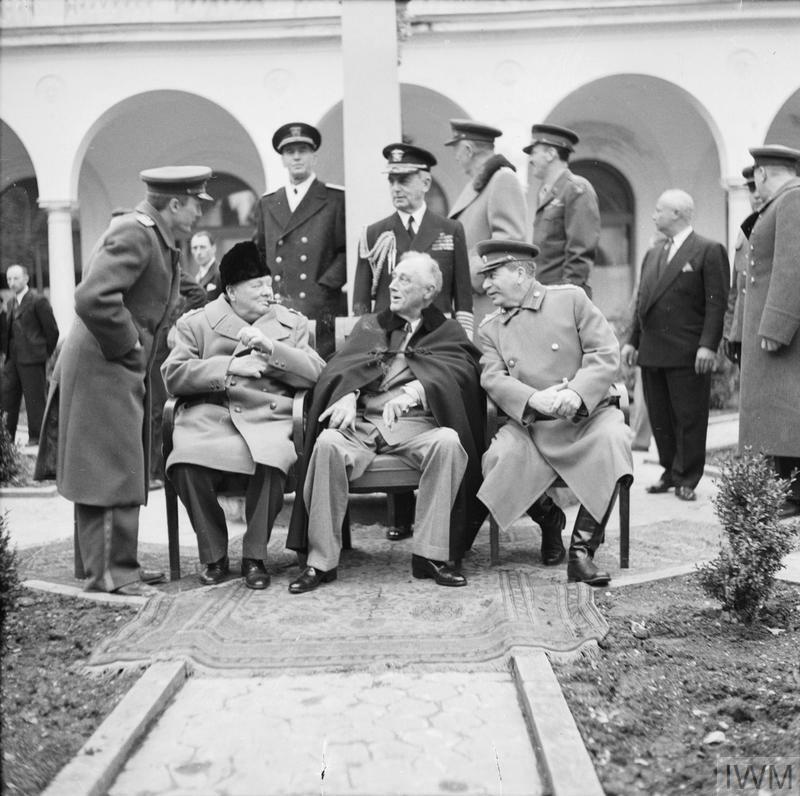 The 'Big Three' - Churchill, Roosevelt and Stalin - at the Yalta Conference. 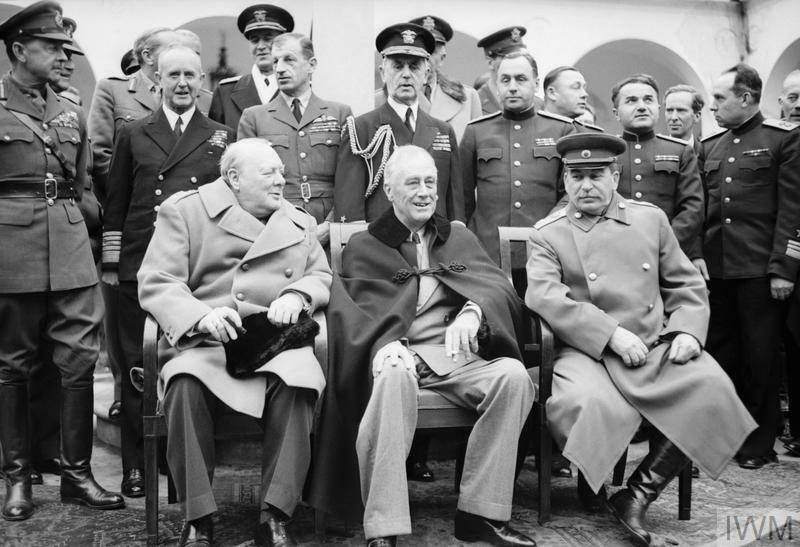 Churchill travelled all over the world building and sustaining the 'Grand Alliance'. This was an exhausting task. Between 1941 and 1945, he went on 19 gruelling and often dangerous journeys overseas. In December 1941, he suffered a mild heart attack at the White House and, two years later, a severe bout of pneumonia after the Tehran Conference. 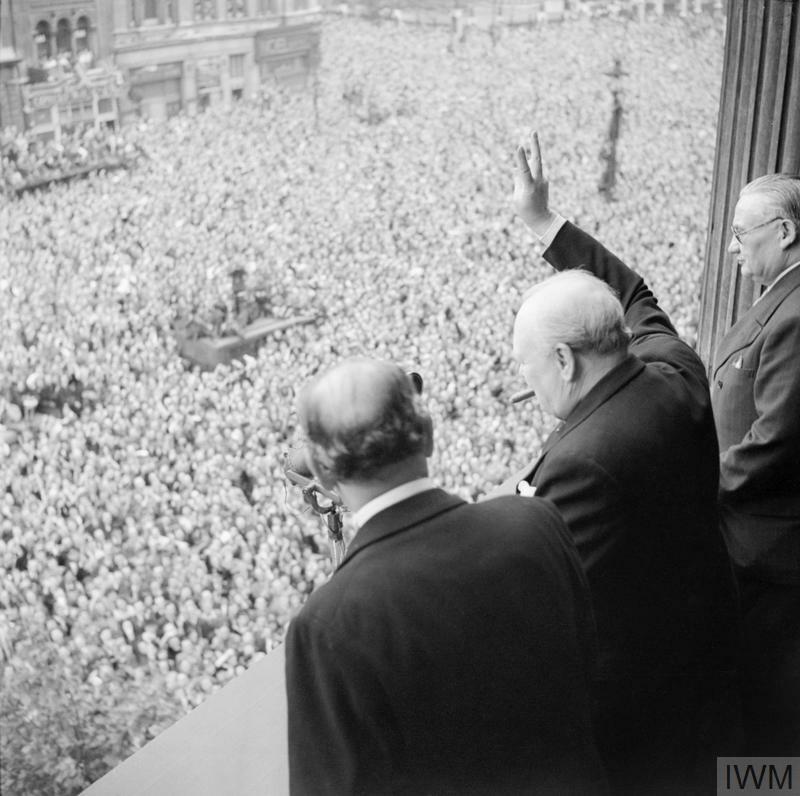 Churchill waves to crowds in Whitehall celebrating the defeat of Nazi Germany on Victory in Europe Day (VE Day), 8 May 1945. In a speech to them, he declared: 'God bless you all. This is your victory!' The crowd roared back, 'No - it is yours'. 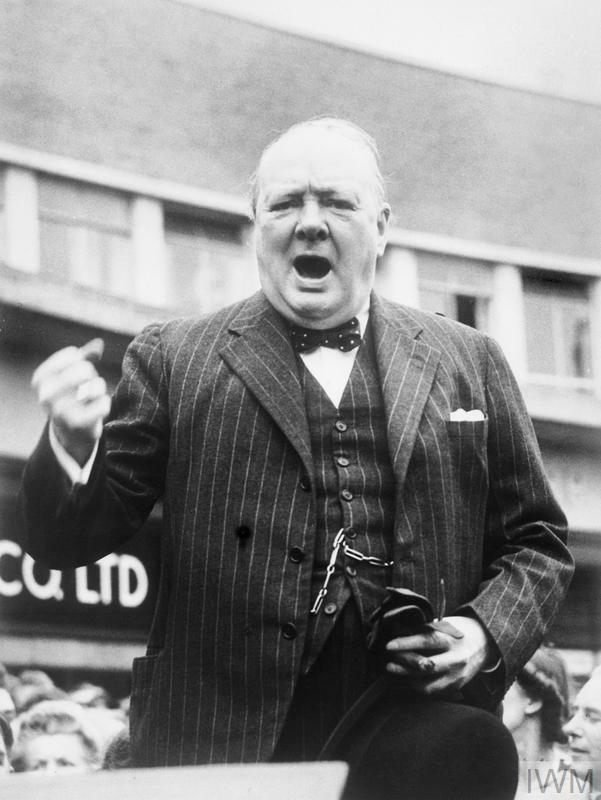 For Churchill, nothing would match his wartime triumphs. What came afterwards would be 'all anticlimax' as he later wrote in his war memoirs. Few failed to recognise Churchill's part in Britain's survival and victory. But after six years of war, people wanted more than just a return to the old order. They wanted reform and reconstruction of Britain. On 26 July 1945, Churchill learned that he and the Unionists (Conservatives) had been rejected by the people. Labour, under Clement Attlee, would govern Britain in the immediate post-war world. 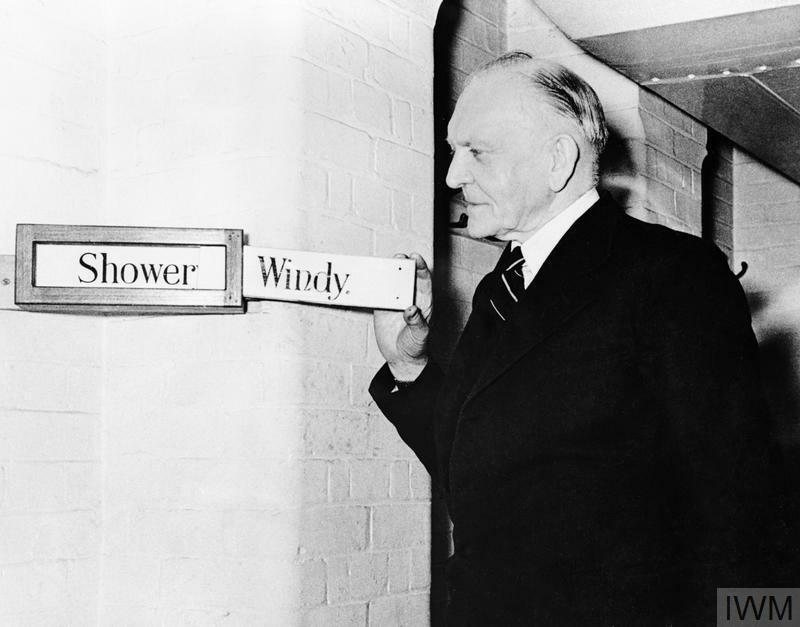 In May 1940 Britain was confronted with two of the most important questions in its history. Who should lead Britain in the war against Nazi Germany? Should Britain make a negotiated peace with Hitler? At stake was the very survival of Britain itself.